Myocarditis is a cardiomyopathy associated with inflammatory response. It has been reported that geniposide (GEN), a traditional Chinese herb extract from Gardenia jasminoides Ellis, possesses an anti-inflammatory effect and a protective effect on cardiomyocytes. The present study aimed to explore the protective role of GEN and the underlying mechanism in LPS-injured H9c2 cells. H9c2 cells were treated with LPS to induce cell injury and then we investigated the effect of GEN. miR-145 expression was inhibited by transfection with miR-145 inhibitor and its expression was measured by RT-PCR. Cell viability and apoptotic cells were measured by CCK-8 assay and flow cytometry analysis. 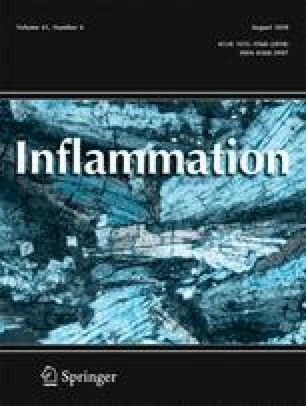 The levels of pro-inflammatory factors (IL-6, TNF-α, and MCP-1) were assessed by western blot and RT-PCR. Western blot was performed to detect the expression of the MEK/ERK pathway-related factors. LPS exposure reduced cell viability, increased apoptotic cells, and promoted the expression of pro-inflammatory factors in H9c2 cells. However, GEN pretreatment significantly reduced LPS-induced cell injury, as increased cell viability, reduced apoptotic cells, and inhibited the expression of pro-inflammatory factors. Moreover, we found that miR-145 expression was down-regulated by LPS exposure but was up-regulated by GEN pretreatment. The protective effect of GEN on LPS-injured H9c2 cells was blocked by miR-145 inhibitor. In addition, GEN inhibited the MEK/ERK pathway through up-regulating miR-145. Our results suggested that GEN exerted a protective role in LPS-injured H9c2 cells. The GEN-associated regulation might be related to its regulation on miR-145 and the MEK/ERK signaling pathway. Qiang Su and Junjing Yao contributed equally to this work.